When you plug in your USB flash drive, a balloon warning in system tray would pop up to tell you that USB Device Not Recognized. Sometimes you don’t even see this notification and your USB flash driver just stops working. No worries, it’s possible and, in some cases, quite easy to fix. Here are 3 solutions for you to try. You may not need to try them all, just work your way down and find the one works for you. 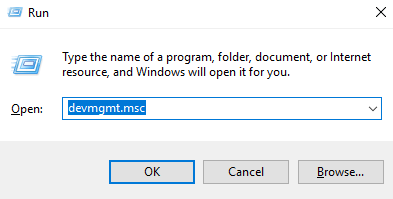 1) On your keyboard, press the Windows logo key and R at the same time to invoke a Run command. Type devmgmt.msc in and press Enter. 2) Expand Universal Serial Bus controllers. See if you can a yellow exclamation mark in front of your Host Controller. 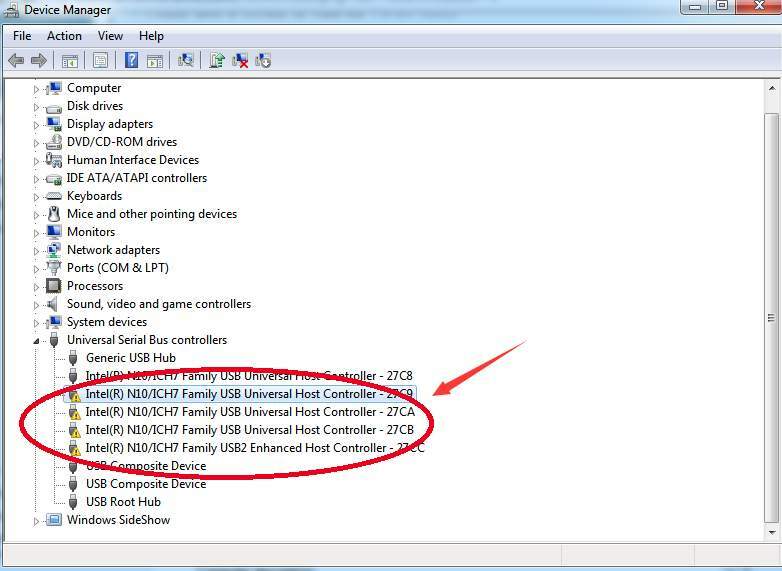 If you cannot see such a device under Universal Serial Bus controllers, check if you can see it under Other devices. 3) Double-click the device with a yellow exclamation mark. 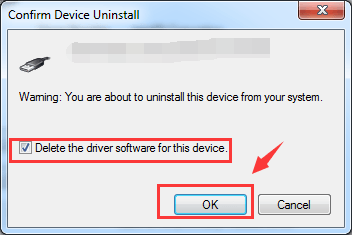 Go to Driver, click Uninstall. 4) Check the box for Delete the driver software for this device and click OK.
5) Reboot your computer with the USB flash drive connected. 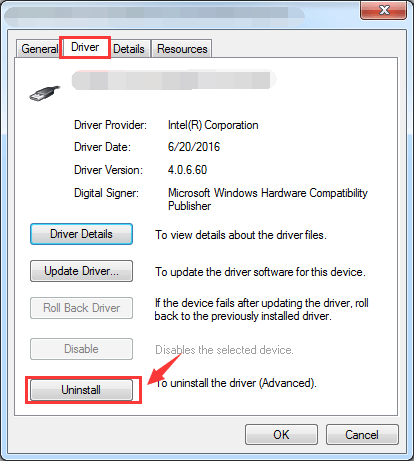 See if Microsoft helps you detect and install the new USB driver. If you have more than one Host Controllers with the yellow exclamation marks in front, repeat these procedures more than once. If Microsoft fails to find the latest version of the USB driver for you, you might need to search for it by yourself. 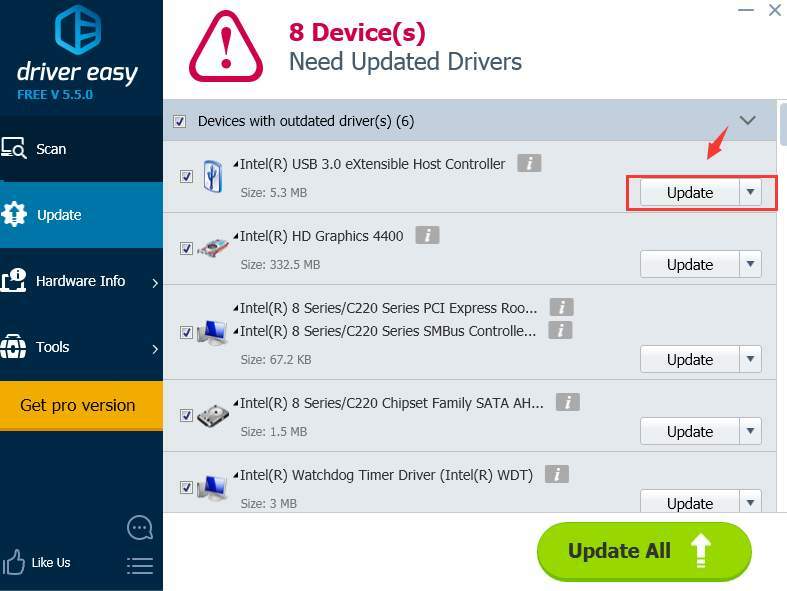 3) Click the Update button next to the flagged USB device to automatically download and install the correct version of this driver (you can do this with the FREE version). Remove or disconnect all unnecessary discs and devices from your computer. Make sure that the computer is off, and then remove any discs and USB devices and the memory cards from the card reader slot. 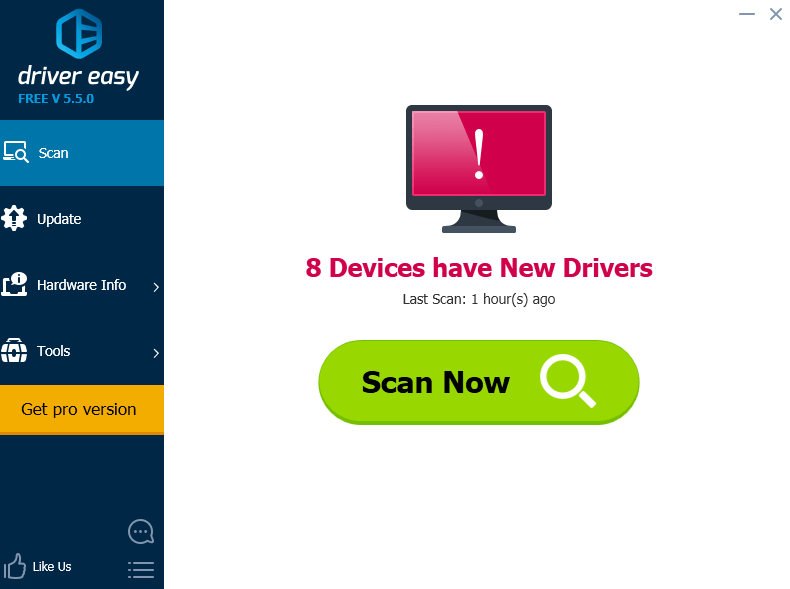 Disconnect non-essential devices such as camera, MP3-playersprinters, scanners, external hard drives etc., and leave mouse, keyboard and monitor connected. 1) Turn off the computer and make sure you have disabled or disconnected all unnecessary external devices. Remove the computer from any port replicator or docking station. 2) Unplug the AC adapter from the computer and remove the battery from the battery compartment. 3) Press and hold the Power button for about 15 seconds to drain any residual electrical charge from the capacitors that protect the memory. 4) Insert the battery and AC adapter back into the laptop, but make sure you don’t connect any external devices just yet. 5) Press Power button to turn on the computer. Then reconnect the USB devices one by one. 1) Turn off the computer completely and disconnect the power cord from the back of the computer. 2) Press the power button on the computer for 5 seconds. 3) Reconnect the power cord and turn on the power. Then reconnect the USB devices one by one. 3) If some of the above files are missing, you need to create them. If you have another computer with all the USB ports well functioned, look for the files in that computer, copy and paste them here. 4) If you don’t have another computer, here is the alternative for you. 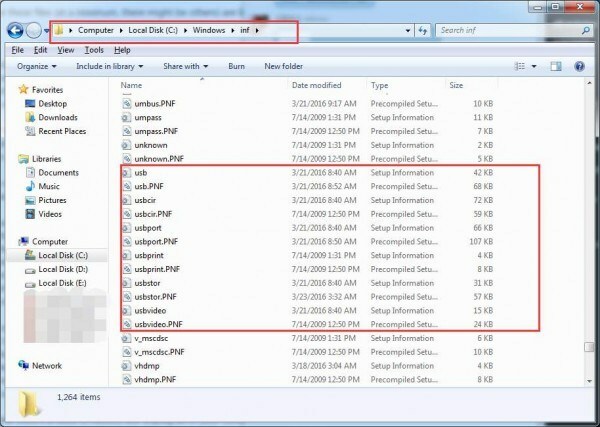 Download the mentioned files from this webpage http://www.infdump.com/. You can find the files by searching with the name of the files. Download the files usb.inf, usb2.inf, usbport.inf, usbprint.inf, usbstor.inf, usbvideo.inf, one by one. You can save them directly to the C:\Windows\inf folder when you are downloading or you can copy them to the C:\Windows\inf folder all together after you have downloaded all of them. 5) After the files are replaced or created, you need to unplug all of your USB devices and then plug them back in again. If necessary, you can also do a reboot. What to do if USB not recognized in Windows 10?